Some people don’t like Microns, or they just can’t get them. There are alternative technical pens for those, fortunately. 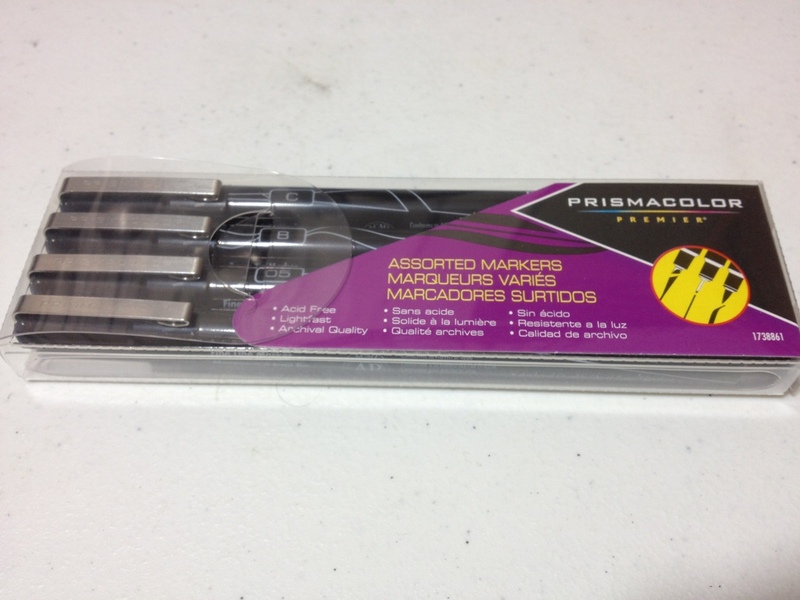 There is a set that is even sold in WalMart: The Prismacolor Premier 4 pen set. The body of the pens aren’t particularly nice. They are black with an abundance of text. The cap is short with a thin metal clip. The cap is hard to grip and kind of ugly, as it fits on tightly but is hard to remove. The cap can be posted, but is also hard to remove there as well. The section of the barrel that is covered by the cap is short and hard to grip but not uncomfortable. It is slick. This set has 005, 05, chisel, and brush tips. They lay down a nice black line. They are archival quality, so they are fade-resistant and acid free. 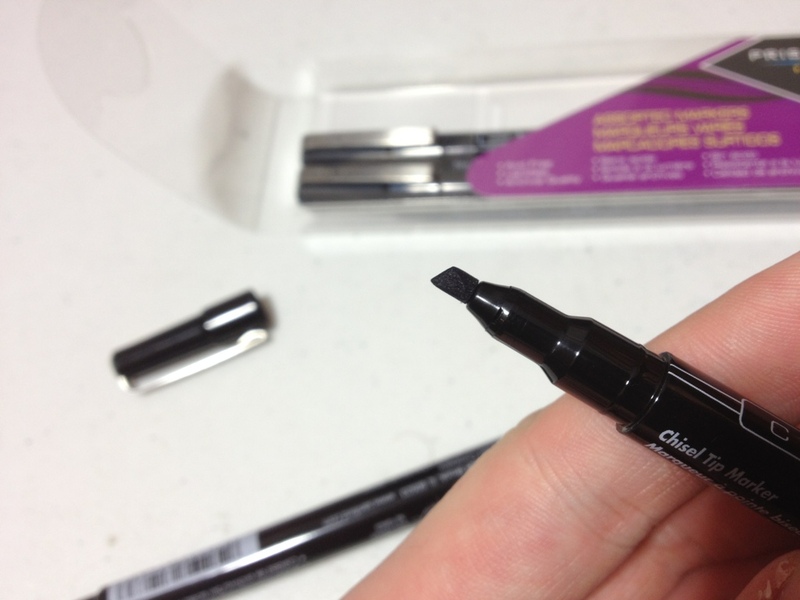 The ink flows smoothly, with the occasional hiccup that happens in all technical pens. The 005 and 05 have a similar size and tip feel to Microns. The chisel is a nice tip, but it is a bit weak and seems like it won’t take much abuse. 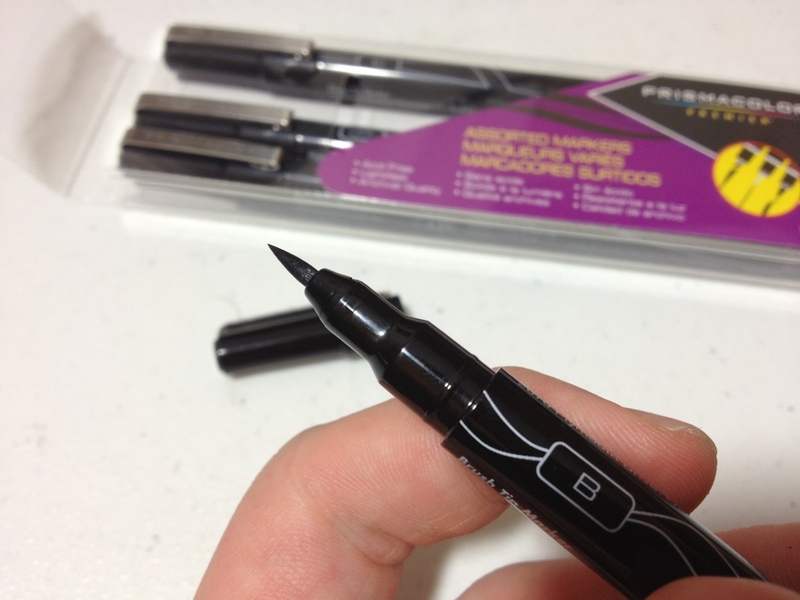 The brush seems more like a long marker than a brush, and it is not very flexible. It does have quite a bit of line variation, though, when you really push it hard. It’s just more difficult to use. Overall this set is a nice one, and it’s cheaper than most other technical pens. They are a bit uncomfortable, and the ink is a bit worse than some of the competitors, though they are quite nice. For the price of a little bit less, they offer just a little bit less. They work great and will serve admirably at their purpose. They just aren’t the best on the market. 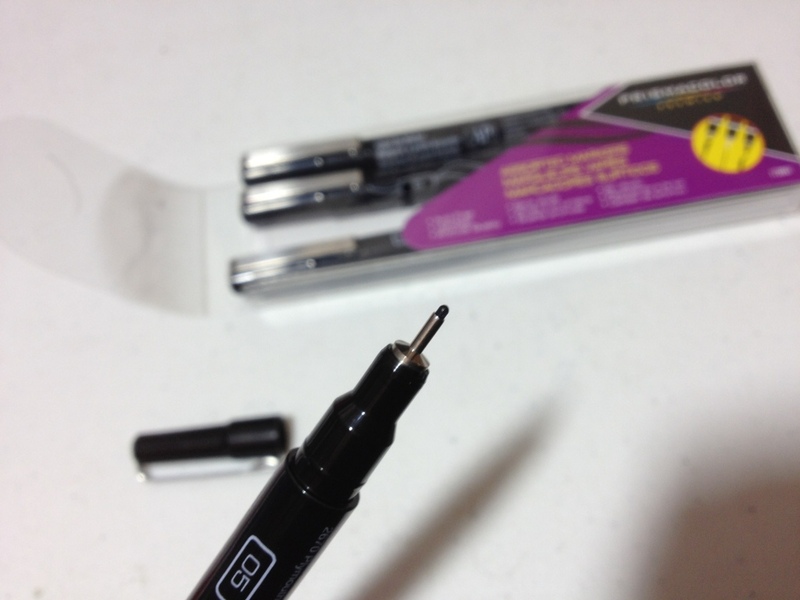 This entry was posted in Intermediate Supplies, Utensils and tagged black, brush, chisel, pen, pens, premier, prismacolor, review, technical, technical pen by Dragon Co (Austin Smith). Bookmark the permalink.